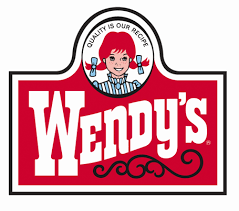 Have you ever wondered why almost all the fast food chains use the same color scheme for all their logos? McDonalds, Wendy’s, Chic Fila, and many more all use the color red and yellow in their logos. Could this just be by chance, or is there a correlation between them. While researching this topic, I found that there are certain colors that make people un-interested in eating, such as blue and purple. You may wonder why a blueberry doesn’t look as appetizing as a strawberry does and you can blame your ancestors for that. In this article , it is said then when our ancient ancestors were searching for food, they would avoid the colors blue, black, and purple because they associated those colors with mold and being spoiled. For example, when Burger Kings came out with its Halloween themed burger which consisted of black buns, my first thought was that it looks disgusting. Maybe that is because I am used to golden brown buns on burgers, but it could also be related to our primitive instincts to stay away from those colors. This could be a reason why most fast food companies tend to stay away from those colors when advertising their food. In this same article, they explain why so many fast food companies use the combination of red and yellow for their advertisement. From what Rohm and Haas Paint Quality Institute stated, the color red seems to increase our heart rate, which then makes us feel more energized and passionate. It’s a no wonder why the color red raises you heart rate, sine that color is associated with evil in many places. They also found that the color yellow makes people feel happier. So you can only imagine why food companies would choose these two colors, one makes you happy and the other makes you passionate. I started to wonder why only fast food companies use these certain colors but companies like Starbucks and Dunkin Doughnuts don’t. Psychologist explained that the colors orange and pink (Dunkin Doughnuts) are associated with enthusiasm and love. While the color green (Starbucks) makes people think more about the earth and serenity. It is weird that companies who serve basically the same product use such different colors, but still tend to do just as well as each other. That got me thinking that maybe color does more than just affect your mood, maybe it could affect your taste as well. It turns out that your brain is actually affected by color when tasting something. This article tells us that there is a condition in our body, which is called synaesthesia which to put in simple terms, makes us assume a taste or feeling before we actually eat or touch it. For example, if you were given a drink red drink, you would assume it is fruit punch before you even taste it. This can affect the way taste things based off prior experience. There is a study where a teacher made her student put 3 different colors in water bottles, and then give taste test to other students to see what “flavor” they enjoyed more. All the water was the same and had no other flavoring, yet students still seemed to pick the blue colored drink. They said that they enjoyed the blueberry-flavored water the best. This study perfectly shows how people will assume a taste just because of the color it has. The interesting thing about this study is that blue was the favorite flavor, even though as I just stated, blue is a color associated with mold and people tend to stay away from that color when eating. To conclude, there seems to be a correlation between the colors fast food companies used and the popularity of their store. The more yellow and red a company seems to use, the more popular it is. The darker colors seems to dis-interested people from eating, but in some cases such as Starbucks, it actually attracts you to drink their product. So if you want to open a restaurant, think about using red or yellow lettering and stay away from colors such as blue. I really enjoyed reading this post. I found it very interesting how there is a correlation between the colors the company uses and how popular the company is. Also you mentioned how certain colors make us hungrier than others, I never really thought about that until I read this and it is absolutely a factor that goes into choosing the food that I eat. Food is one thing that for sure has to appeal to the eye and according to this article ever color has a specific meaning behind it that directly affects our perception of the food. Like you said all the major fast food companies have the same colors so now we know what the method behind their madness is. This post reminds me of a topic we learned about in Marketing 301 known as the Law of Color. It states that the color of a company’s logo should be the opposite of or different from its competitors. Just to list a few examples: Coke and Pepsi, YouTube and Vimeo, Starbucks and Dunkin Donuts, etc. However there are some exceptions to the rule. Facebook and Twitter both share blue, and the big 4 accounting firms (Deloitte, Pricewaterhousecoopers, Ernst & Young, and KPMG) all have variants of their logos in blue. Perhaps they break this rule to stay within a same identifiable industry. Facebook and Twitter could share the color to indicate a relaxed social media environment. The big 4 firms probably share it to convey a sense of professionalism. Interesting topic, good read! The trend in your conclusion mentions that more yellow and red in logos leads to popularity, which is true most of the time. However, there are still restaurants, like Olive Garden, who have no yellow or red in their logo, and they compete with other restaurants similar to them. For example, restaurants like Arby’s and Applebee’s are equally as popular as Olive Garden, but they use yellow in red in their logos. It seems that we have a few outliers, but for the most part, your conclusion seems to be correct. This is a super fascinating post. I’ve always been intrigued by how the fast food industry gets away with selling us such awful food for our bodies. I have actually read before, in this book called Fast Food Nation (really great book if you want to read more about this)., that the coloring of food impacts how we taste it. Most of the food put out at fast food restaurants is overwhelmingly yellow and brown, which if the evidence in your post is correct, makes us feel happier. I found an excerpt from the same book I mentioned earlier (http://www.pbs.org/pov/foodinc/excerpt-fast-food-nation/3/) which discusses how we can actually be socialized from a young age as to what tastes good to us, a fact that fast food companies certainly try to exploit. This socialization theory also lends weight to the color theory: if we associate these colors with good food, then we’ll have a more positive taste experience and opinion of the company. This is an interesting topic to me because I studied the topic of color psychology (https://www.verywell.com/color-psychology-2795824) in my high school art class. It sounds crazy, but color psychology is an actual profession that my art teachers husband has been practicing for years. Basically it is the study of color as a determinant of human behavior. Color can alter our mood, appetite and state of mind in positive and negative ways. This means that the effects of color schemes stretch far beyond fast food logos. In fact a recent study (http://psycnet.apa.org/journals/xge/136/1/154/) revealed that students who see the color red before a test performed worse than those who did not. The study goes on to explain that the feelings associated with red are what most likely caused the student to underperform. The field of color psychology is extremely interesting and I’m glad that this article brought some attention to it. This article has a very interesting topic. I dont understand your claim on going away from dark colors like blue, purple, or black. Our ancestors disliking those colors have nothing to do with us like or not liking those colors. Opinions are not transferred through genetics. Yes maybe some people in some areas might not eat such dark foods, but maybe because that ideology or belief was transferred, and they are just not used to eating that stuff, because generations before never had that stuff. Reading the theories behind colors, Dark blue actually has a lot of meanings like Loyalty, and Trust. This post is really fascinating and creative! I like how you search about colors attraction for our taste and smell then linked it to the fast food logos. Now it made me think that I am an odd one out because I am somehow attracted to blue color food. This could been that it is because it is my favorite colors and whenever I order blue colored food, my friends would be like how the hell do you want to eat these stuff. I tried doing research on why i like these blue colored food but it seems that I only found this article http://www.colormatters.com/color-and-the-body/color-and-appetite-matters, which says how blue food should is an appetite suppressant. But what thing that most people could think about it is that they can use blue food for their diet if they want to lose weight; very interesting psychology indeed.